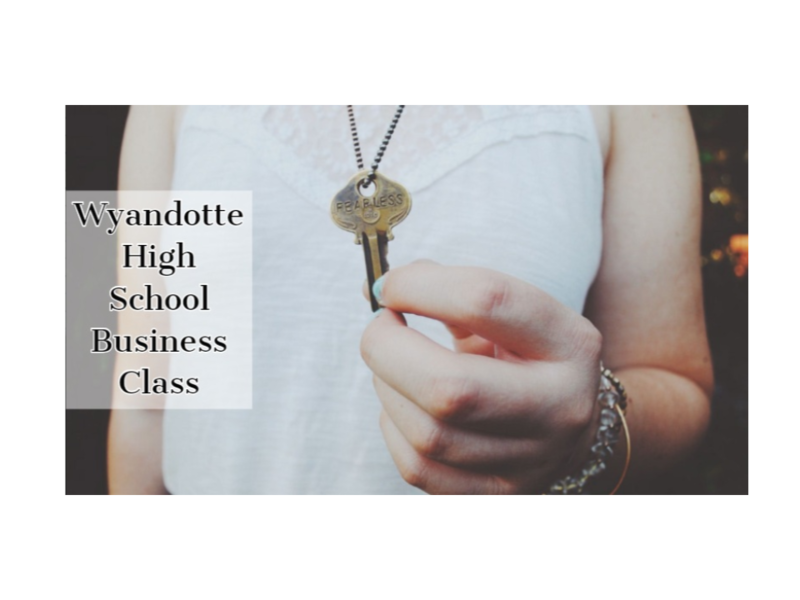 The business class in Wyandotte public schools has recently launched a new and promising entrepreneurial project. The first project that has been launched is ‘Constructive Keys’. Last semester we learned not only what business is but how to be successful entrepreneurs. We have learned what business is, starting at job interviews all the way to running our own business and being the boss. We have all worked together to start up our first business ‘Constructive Keys.’ The class came up with every aspect of this project and fully created a business project. We are also running the business by ourselves, we sell the keys, make the keys, advertise our keys, and even deliver them. Constructive Keys will give us an insight on how business is actually conducted. We are preparing ourselves to become successful entrepreneurs and how to fully run a business from the ground up. Finding old and antique keys is the majority of the work. Once the key has been selected, words are then hammered onto the key and hung on a selected accessory. Being that it is a fresh new business, all proceeds go towards the next project to be launched. All keys can be customized and any word is available. Not only can letters and numbers be put on the keys, but shapes are also available such as a heart, football, basketball, and baseball/softball. If you have a key you already own and would like for it to be customized, that is also an option. All of these different options will definitely make the perfect gift for only $5.00. For more information please contact: Kelbi Hilton, Kyah Kingfisher, Tylee Tygart, Jacie Wilson, Amanda Adams, Josh Brecheisen, Jakob Goddard, Abbie Golden, or Gunner Feathers.